Q: What travel arrangements are needed for my surgery? A: Undergoing surgery puts a lot of stress on your body. From being sleepy as you come out of anesthesia to the physical pain and discomfort you’ll feel after a procedure, your ability to function at peak condition will be limited. That is why you should have someone bring you to the hospital and drive you home. Patients who do not have a ride home will not be allowed to drive themselves. If you are coming from out of town, there are hotels in the area where you and your family members can stay. Our staff will be happy to provide recommendations. Q: How experienced is Scott D. Miller, MD in performing laparoscopic and robotic procedures? A: Surgical experience can be measured in three ways – time, total number of procedures, and current number of procedures performed each month. 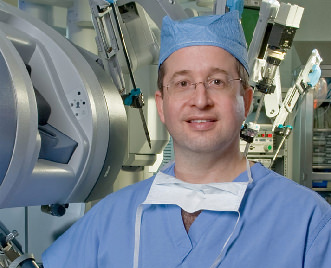 Since Dr. Scott Miller started performing advanced laparoscopy in 1995 and robotic surgery in 2003 he can assess the outcomes of thousands of patients to further refine his techniques. He currently performs approximately 25 laparoscopic or robotic procedures per month. Time and time again according to numerous medical studies, experience – as measured in these three ways – has been shown as the strongest indicator of the best possible outcome. Q: Can I get other types of urology care from Dr. Scott Miller outside of surgery? A: Dr. Scott Miller is focused solely on the practice of laparoscopy and robotic surgery. This has allowed him the time and attention to keep his skills sharp and to develop new techniques that improve patient care. He is, however, a member of an outstanding urology medical practice – Georgia Urology – staffed by excellent partners who excel in all aspects of urological care. Dr. Scott Miller and his staff can make a referral to his colleagues whenever necessary. Q: Am I a candidate for laparobotic surgery? A: Laparoscopy and robotic surgery techniques can be used for most urological surgery procedures. There are, however, some situations that may require open surgery. After a thorough examination of your body and review of your specific test results, Dr. Miller will be able to recommend the safest approach that has the highest likelihood of a successful outcome. Q: What type of follow-up care will I get after my procedures? A: Every patient and their family will be given information about issues such as changing dressings, diet and resuming normal activities before they leave the hospital. There will also be chances to speak with Dr. Scott Miller and a nurse to ask questions. After the recovery period, you will have an appointment with Dr. Scott Miller to check your progress. 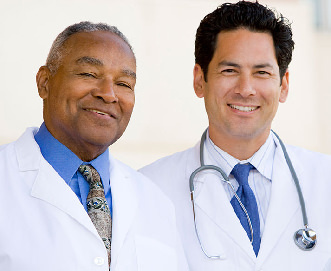 Over time, you will want to transition back to your primary care physician for ongoing care. Dr. Scott Miller will be happy to provide information and consultation with your doctor to ensure a smooth transition. Q: Does Dr. Scott Miller accept insurance as payment for my surgery? A: Insurance coverage varies by company and by your individual coverage plan. Your insurance company will often pay a portion of the fees and you will be responsible for the balance. When you provide us with your insurance information, our staff will explain what portion of your charges will be covered by insurance and what portion will be paid by you. Click here for more details about insurance in Dr. Scott Miller’s practice. Q: What is nerve-sparing and why is it important? A: Nerve-sparing techniques are vital in prostate surgery. These specialized techniques are designed to leave the major nerves intact so that you can have appropriate, adequate erectile function following surgery. Dr. Scott Miller has pioneered approaches that preserve these delicate nerve structures, the most famous of which is the S.P.E.C.I.A.L. technique. A: Laparoscopy is a general term for surgeries that involve the surgeon making just a small cut in the abdomen and then inserting special instruments and a magnifying video camera. The doctor then injects carbon dioxide gas to lift the abdominal wall, making a larger space to work in and make viewing and moving the organs easier. Additional small openings are made for instruments to be inserted that let the surgeon move, cut, stitch, and staple structures during the operation. The overall procedure typically has less trauma to the body and lets patients recover faster than traditional open surgery. Dr. Miller is a specialist in laparoscopy and robotic surgery and uses these techniques in most of the procedures he performs. Q: What is hand assisted laparoscopy? A: A variation on “traditional” laparoscopic surgery is hand assisted laparoscopy (or hand assisted laparoscopic surgery). In this procedure, the surgeon makes a small incision and then using a special “sleeve” device, actually inserts a hand into the patient’s body. While watching the procedure using a special video camera that is also inserted into the body, the surgeon can feel the structures being worked on and guide the surgical instruments that are inserted via a series of additional small incisions. Some surgeons believe that the combination of physical sensation from touching the area undergoing treatment gives a greater sense of control and precision to the procedure. Q: During robotic surgery, does the robot actually do the surgery? A: Unlike science fiction movies, the surgery robot Dr. Scott Miller uses cannot think, act or move on its own. The robot is a lifeless machine. Think of it more as a surgical puppet: the only time it can do anything is when Dr. Miller inserts his hands and fingers in the controls in order to move the instruments. Q: What happens if the robot breaks down during surgery? A: In the very unlikely event that the robot develops a problem during a procedure, Dr. Scott Miller and his team have the experience and knowledge to act quickly and appropriately. Often, the issue can be determined and remedied in a matter of minutes, if not seconds. Under the contingency plans they have in place – and because all procedures are done at Northside Hospital with its multiple operating facilities – the surgery can continue using a robotic system. Because of his extensive laparoscopic experience, Dr. Scott Miller may merely choose to complete the remainder of the procedure laparoscopically (using hand-held instruments through the same small incisions). The bottom line: backup systems, procedures and the skill of the surgical team are all in place to ensure that you have the safest experience possible. Q: Why do I have to wait so long from my prostate biopsy to my actual surgery? A: Often when prostate cancer is suspected, a biopsy (removal of a small bit of prostate tissue for analysis) must be done to confirm the diagnosis. But doing a biopsy can irritate the prostate and distort it, which can create problems during surgery. Dr. Scott Miller believes in following quality of care guidelines that recommend waiting up to eight weeks in order to let the prostate recover and resume a more normal shape after the biopsy. 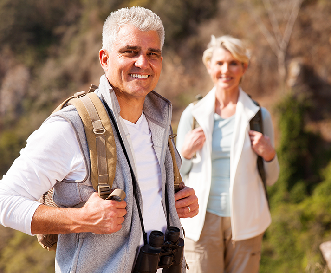 Once the prostate has recovered, then surgery can be performed.